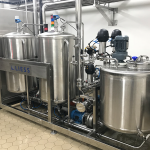 The wide option of processes and technologies for processing sugar and preparing soft drinks is the result of decades of R&D dedicated to this market by Liess. 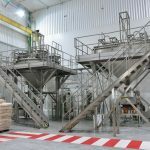 From the raw material to the final drink, all the phases of the process have appropriate solutions for each customer profile and requirement, from the simplest to the most sophisticated equipment and of high added value, always ensuring the best and most economical operating result for each application. 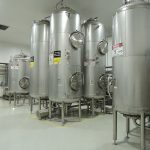 Three products are offered with different technologies for dissolving sugar, starting with the traditional Batch System, passing by the Hot Continuous Dissolution System to the most advanced solution with the Cold Continuous System, which provides energy saving of up to 70% compared with the hot system. 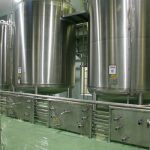 For each application or requirement there is as more adequate solution, either in yield and operating gain, and in investment cost. 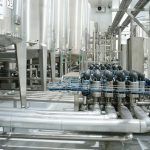 The continuous dissolution of sugar, both hot and cold, is an entirely automatic process which dispenses with operation, controlling all the variables of the process and ensuring functioning without interruptions for long periods, producing a syrup within customer specifications. 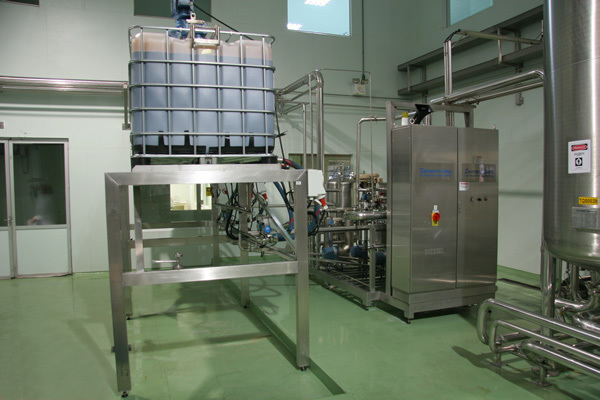 Traditional system of clarification by activated carbon, with compact installation of low cost. 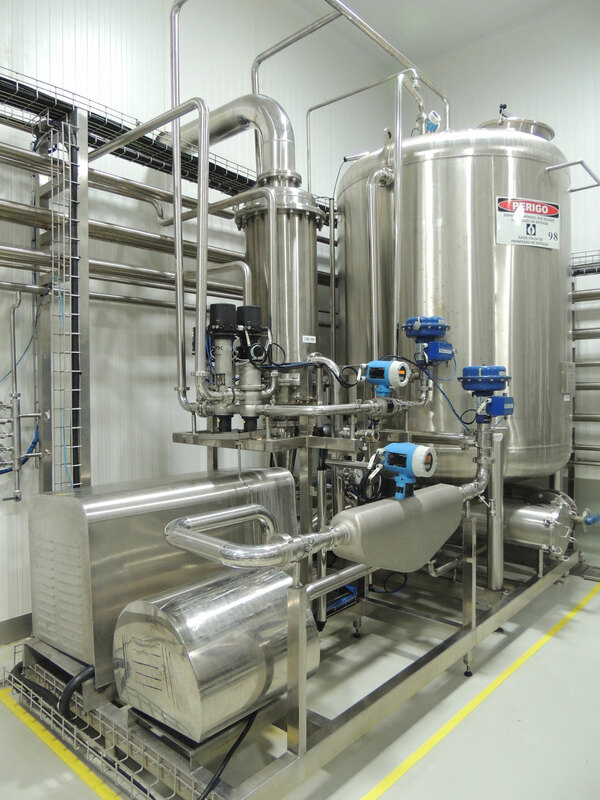 Composed of a retention tank, dosage system of diatomaceous earth and charcoal. 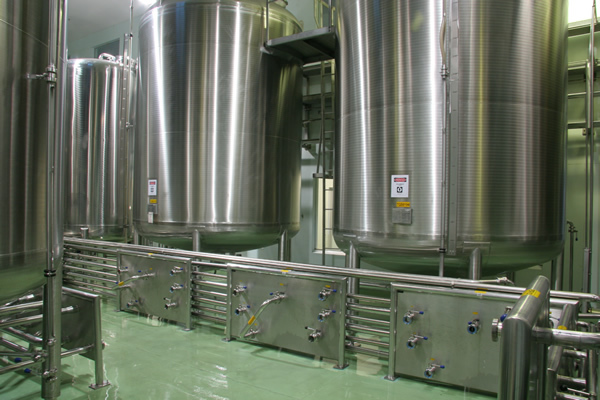 Filtration of syrup with pre-coat filter with vertical or horizontal system. 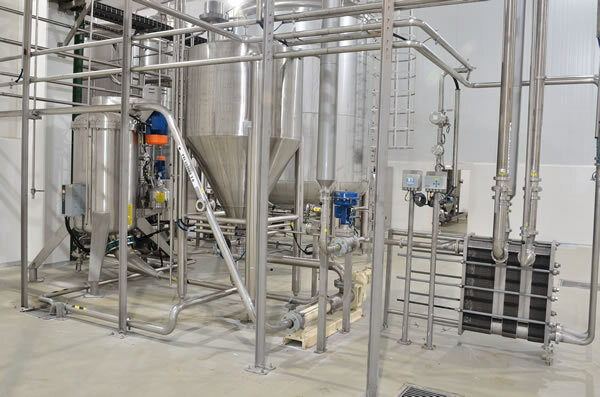 Being a global pioneer in the use of the ionic clarification technology for sugar in the soft drinks industry, Liess developed the process arriving at the fourth generation, bringing an ecologically correct economical solution, above all, with the flexibility which was lacking in the first processes. 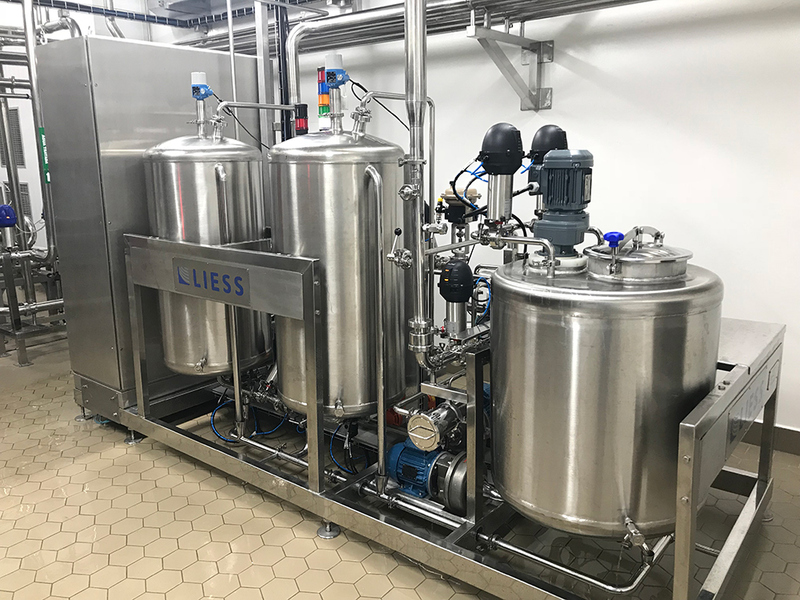 The knowledge of the Market and the features of the sugar used allow Liess to develop a system which allows wide use to be made of the features of the resins, maximizing their use and minimizing the time wasted with special cleaning and regeneration, also having as advantage the reduced consumption of water for these procedures. 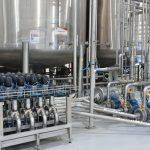 There are several options of solutions which can be employed, always fulfilling the requirements and features of each project. 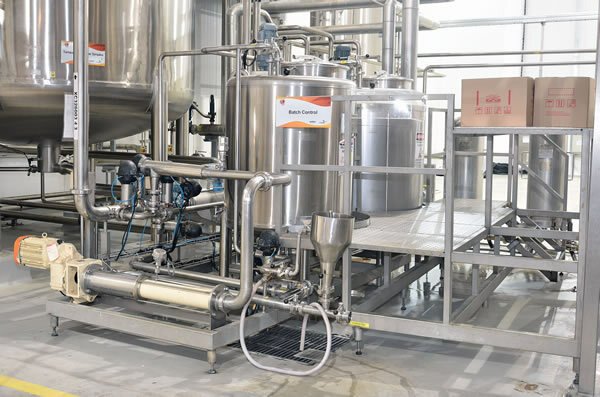 The large supply line allows the construction of rooms with interlinking of tanks by manual maneuver plates or with automatic valve manifolds contamination proof. 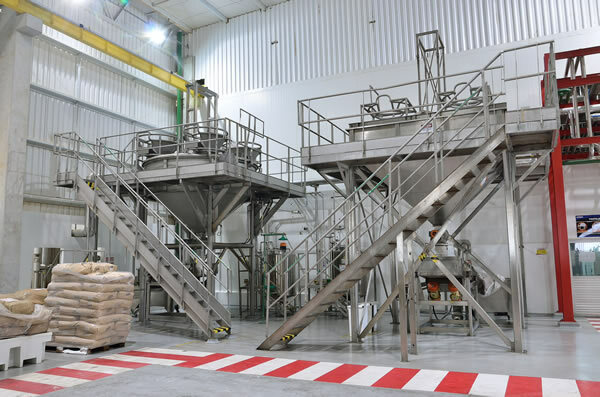 Regarding the preparation of the products, there are from manual loading options of the components and additives to systems with automatic equipment for preparing the batches. 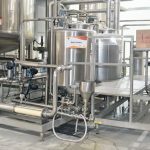 If the option is to not use end syrup and produce ready drinks from components of simple syrup and flavor, the solution is the End Drink Blender, for one or more simultaneous flavors, with complete process of preparation of almost syrup and deaerated water. 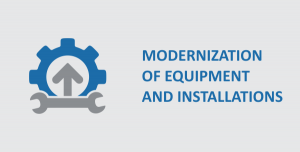 The various technologies and solutions available allow the choice of one of them or the best composition to handle each demand, always focusing on the best cost/benefit ratio and guarantee of handling the specifications of each customer. 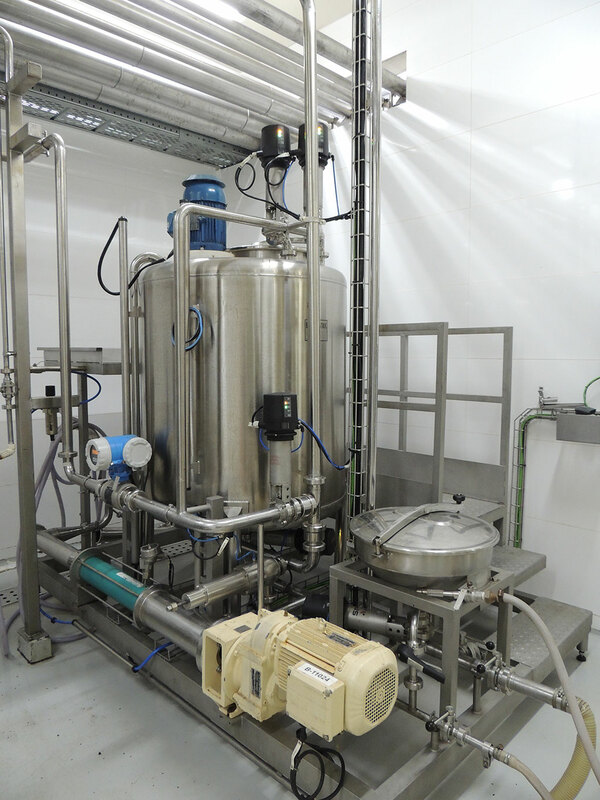 Equipment dedicated to the automatic dosage of the components for preparation of a batch of end syrup or almost syrup. 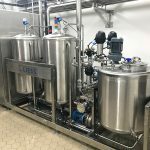 It can be supplied with a cold or hot mixture tank, with pumps, automatic valves and all the instrumentation required for preparation of pre-defined recipes in automatic mode, ensuring the repeatability of the process and precision in the composition of the end product. 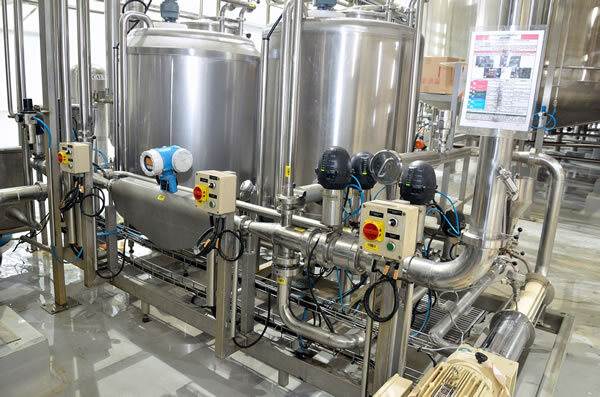 Possibility of bar code reader function for release of each ingredient. 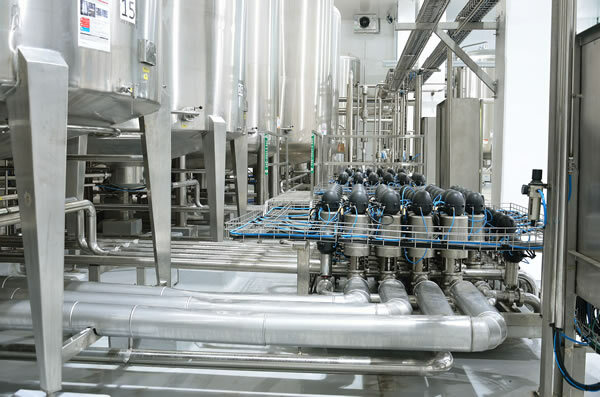 Entirely automatic system which dispenses with dedicated operator. 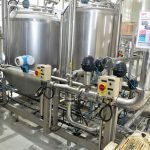 It eliminates tanks and installations of end syrup, dosing precisely, with great control, all the liquid components of the drink. 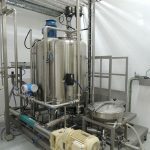 It corrects syrup variances without interference of temperature, ensuring total product quality, being able to supply several bottling lines simultaneously. SaltBlender Liess equipment is intended for the mixing and continuous dosing of distilled water with in-line salts. 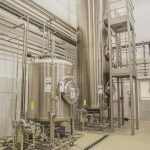 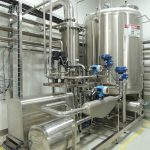 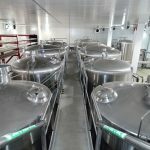 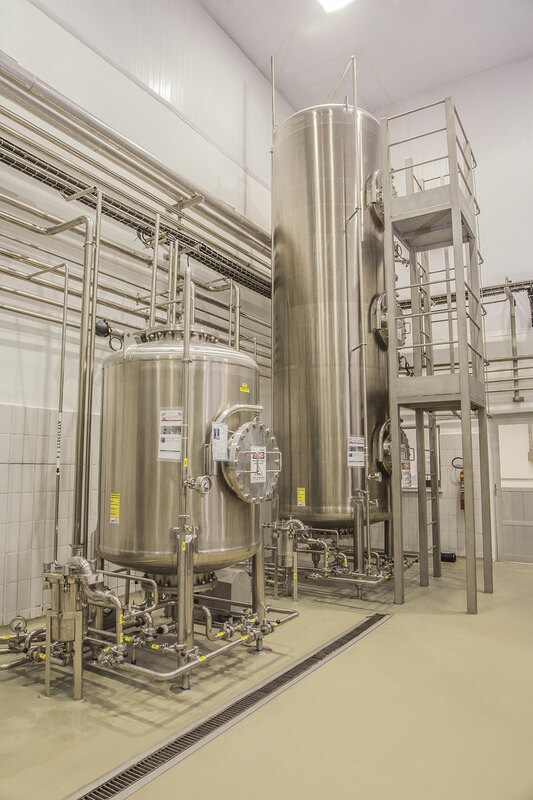 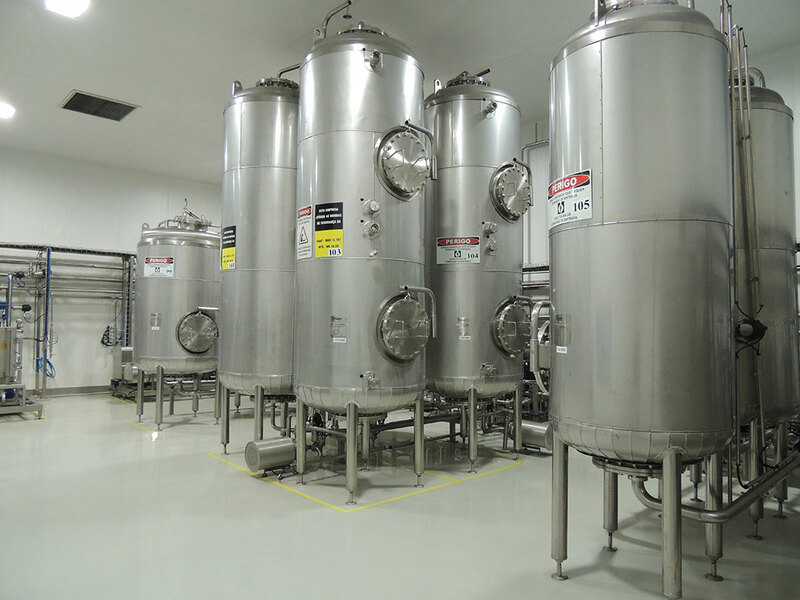 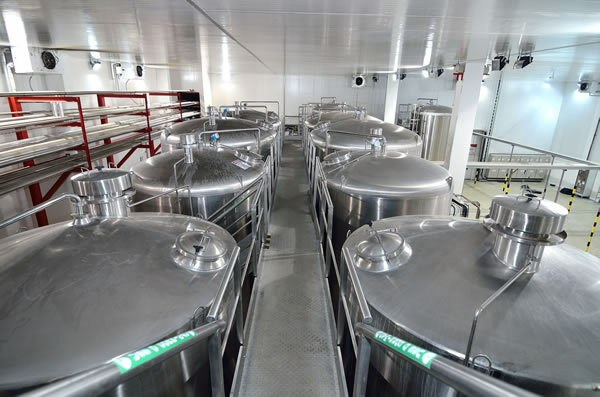 It makes it possible to produce mixtures with different proportions, which are carried out through two dissolution tanks equipped with agitators that aid in the homogenization of the final product. 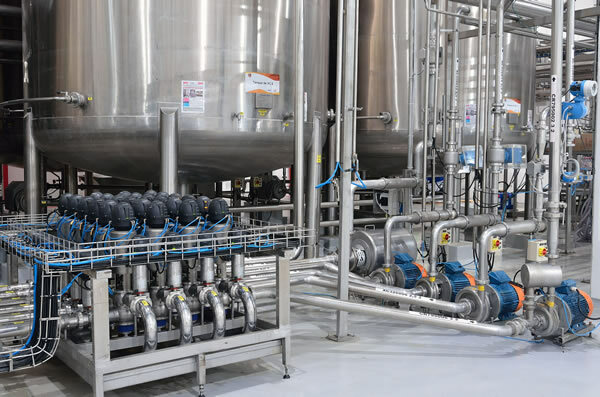 In-line dosing is performed by dosing pumps with automatic speed control adjusted by the distilled water flow from the main line.